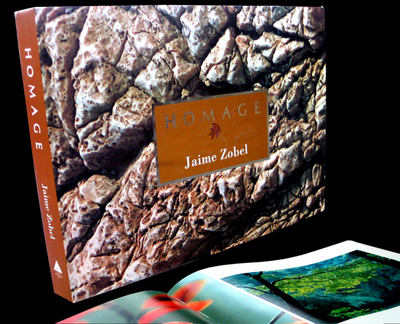 Homage is photographer Jaime Zobel's paean to nature. Focusing on four themes- the sea, leaves, flowers and rocks- Zobel takes the viewer on a journey through the many moods, colors, textures and nuances of nature. You can explore the underwater , walk along shriveled leaves, stand before blooms of indescribable delicacy or peer closely at veined craggy rocks- Zobel makes it an altogether wonderful experience....."